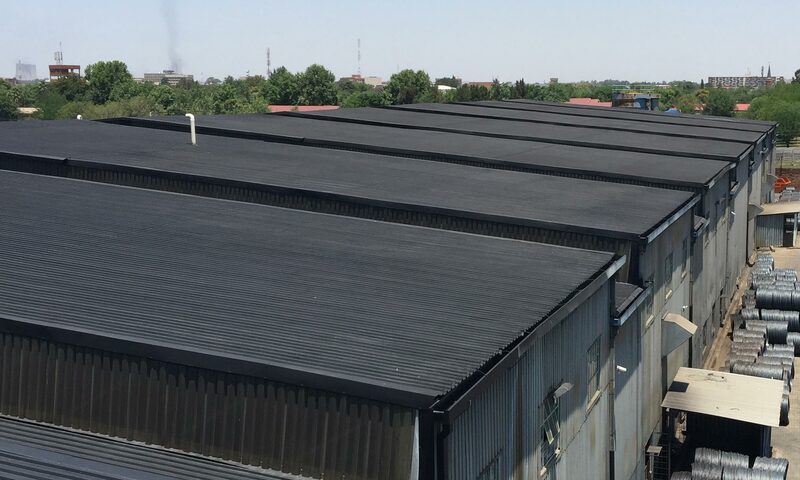 Paint applications are suited to all types of buildings and structures, especially where leaking is a result of material deformation, heat expansion, cracking, piercing (installation of roof fixtures) loose joint mountings and rust corrosion. It can be applied to a wide variety of materials like metals, galvanized materials, PVC piping, fibre glass and other building products like cement, tiles and paint. All surfaces to which SG 368 is to be applied must be sound, stable and free from dirt and loose debris. It is applied by paint brush or roller as a waterproofing and anti – corrosion film for smaller areas where a spray pack cannot reach. Gurtex SG 368 should be thoroughly mixed for 5 minutes prior to use. SG – 368 is available in 5 litre and 20 litre plastic buckets. Store under cover out of direct sunlight and protect from extreme temperature. Shelf life is up to 12 months when stored as above.